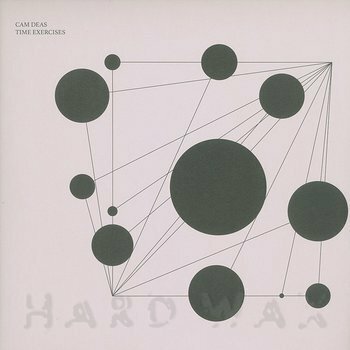 Time Exercises is a complex study in amorphous polymetric rhythms by Cam Deas for The Death of Rave. His first album composed solely for modular synths and computer, Cam's follow-up to the acclaimed String Studies for Luke Younger's Alter label marks a headlong tilt from acoustic to electronic spheres with a staggering effect resulting from meticulous research and process. It sounds as advanced as Xenakis or Roland Kayn superstructures, with the rhythmic displacement of FIS or Autechre, and with a grasp of slippery, mind-bending timbral dissonance comparable to Coil and Rashad Becker records. Cam's six "Time Exercises" form both a bold break with - and an extension of - the avant, folk, blues and outernational traditions that he's worked to deconstruct and fluidly syncretise over the past decade. In the past four years he's stepped away from the guitar as a compositional tool, turning to electronic hardware in a focussed effort to consolidate myriad tunings and meters with a precision that had previously eluded him in the acoustic sphere. Severed from the tactility and sentimentality of instrumental inflection, Cam's disembodied music plays out a thrilling dramaturgy and syntax of alien dissonance and disorienting rhythmic resolution. Harmonic shapes as densely widescreen as those in Roland Kayn's Cybernetic Music roil in unfathomable fever dream space, where massed batteries of synthetic percussion swarm like an orchestra of Cut Hands in viscous formation, and where polychromatic mentasm figures converge like cenobites laying siege to Rashad Becker’s utopia. On Time Exercises, Cam articulates a synthetic musical language that speaks to the listener in myriad, quantum tongues awaiting to be deciphered by keen ears everywhere. It's an outstanding record for lovers of forward-looking but deeply rooted electronic music.